If you rely on volunteer canvassers for a bulk of your fundraising, it is essential that they are trained effectively. Otherwise, your organization might be missing out on opportunities and leaving gifts on the table. Protexia trains canvassers – in groups and through individual coaching – to make the most of their fundraising efforts. serve as a confident ambassador for the organization. The length and content of Protexia’s training sessions vary based on the specific needs of the organization.  Protexia can also provide advanced refresher sessions for professional fundraisers.